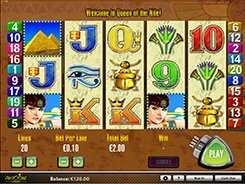 This is a fairly simple Ancient Egyptian themed slot equipped with 5 reels and 20 paylines. 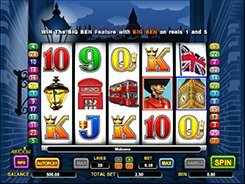 You have two customizable betting options: the number of paylines (1 to 20, in increments of five), and a bet per line ($0.01 to $2.5), thus the maximum bet reaches $50 per spin. All symbols, apart from traditional playing cards, relate to the theme and include Scarab, Eye of Horus, Pharaoh Mask, etc. 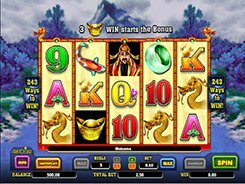 The biggest jackpot prize of $22,500 is paid out for hitting five wild symbols (Cleopatra) on an enabled win line. The wild acts as a substitute for other symbols and doubles the win when used in a combination. A scatter is another special symbol represented in this case by the Pyramid. 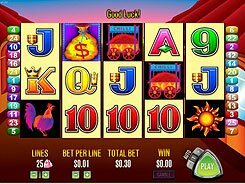 Five scatters landed in any place in view award $1000 on the maximum stake. 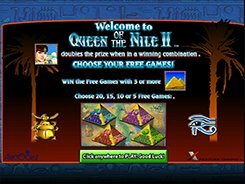 Besides, three or more Pyramid symbols trigger 15 free spins with all prizes trebled during the feature. 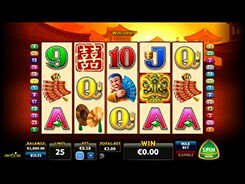 Requiring very little skill to play, the slot will be appealing for novice gamblers. PLAY FOR REAL MONEY!